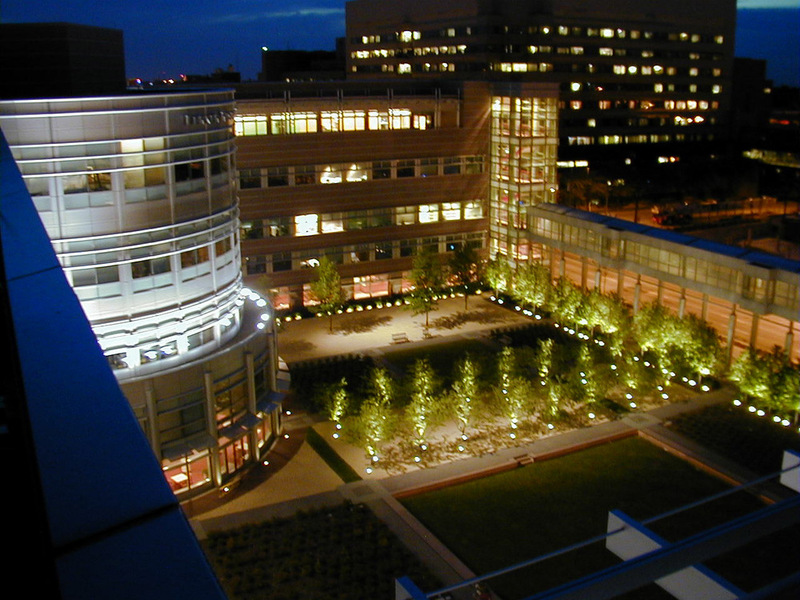 Two parallel paths stretch down the Green, fronting the new 14-story Cleveland Clinic building across the street. The Green is the complex’s unifying core, around which future additions will take place. 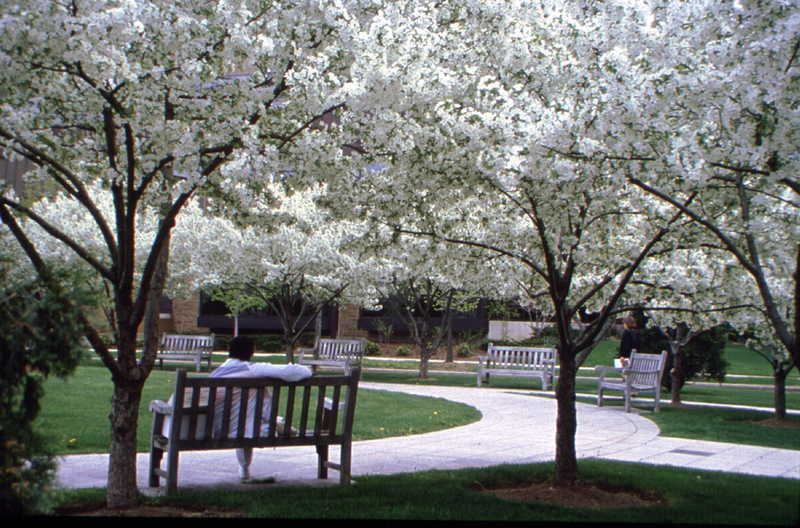 The paths, lined with benches and trees, are narrow enough to facilitate contact between those sitting across from each other. 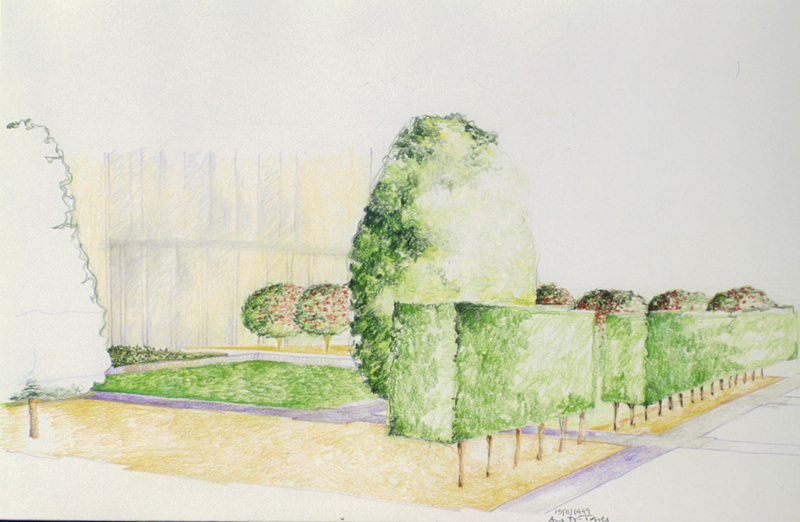 Careful plantings manipulate perception; telescoping lines of trees mimic perspective, making the green seem longer than it when viewed from the clinic building. At the other end, a circle of flowering trees closes the perspective. Seen from the highest floors of the clinic, the oval becomes a perfect circle. At ground level, it creates a small, enclosed landscape within the overall linear pattern, suitable for intimate gatherings. The plant material is appropriate for a campus. 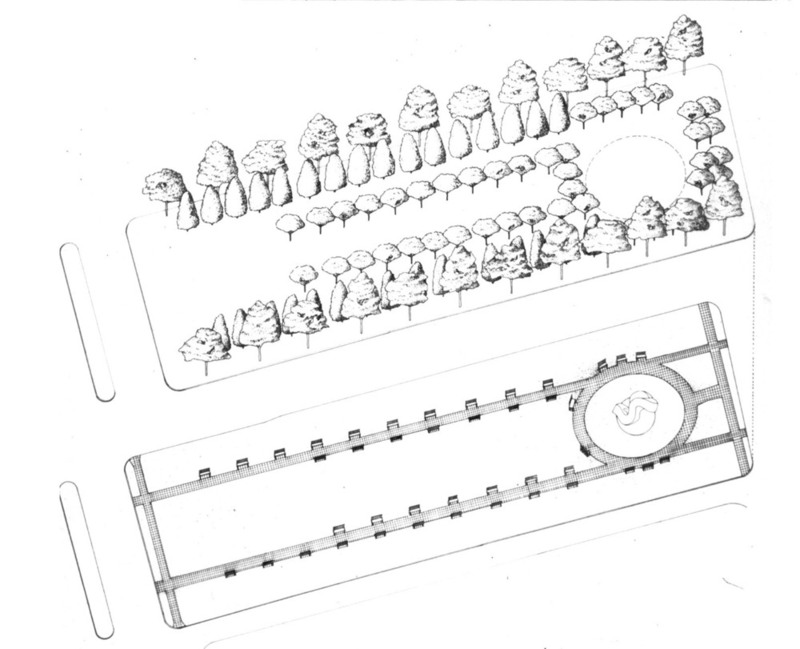 White Oaks will become sculptural giants to anchor and frame the whole landscape 50 years hence; Sweetgum will offer fall color; Techny Arborvitae will provide green in the winter; and crab apples supply both spring flowers and fall color. These materials were also chosen for salt tolerance. 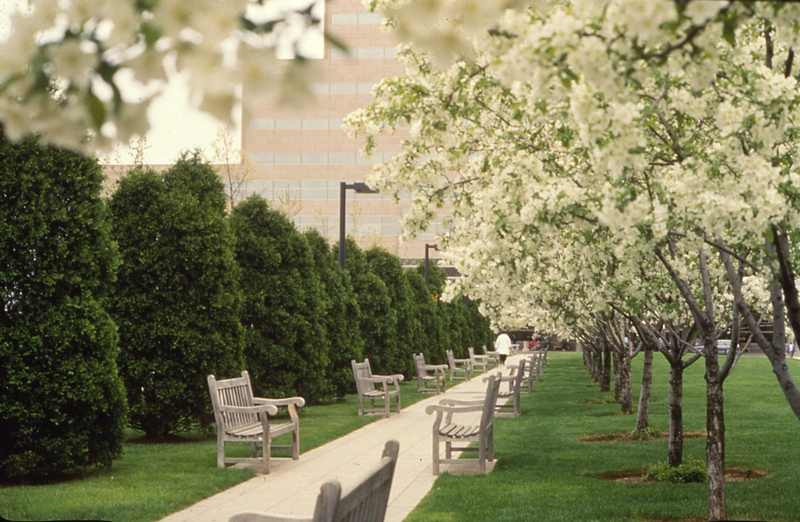 Two paths, paved with granite and lined with teak benches, travel the full length of the green and serve as circulation corridors between the clinic buildings.